Retirement is something everyone looks forward to, especially while living a painful life. In the US, the definition of ‘retirement’ is now changing rapidly. Some decades ago, retirement simply meant the end of your working life. Nowadays, retirement means leading an active, purposeful and interesting life. Generally, retirees also look for sources of income. Usually, people would retire at the age of 60 years, a few decades ago. However, an increasing number of people now choose to retire at ages between the mid-40s and early 50s. Therefore, everyone looks for the best places to retire in US. Understandably, the US is a big country by land mass. Hence finding the best states to retire can often prove cumbersome. Retirement trends appear to have undergone a change in recent decades due to several reasons. Apparently, financial security is something everyone looks for, especially after the 2007-2009 economic downturns and its aftermath. Further, the US now has a burgeoning ‘middle class’ if it can be called so. This population increasingly looks for financial security and continuum of lifestyle. People are more inclined to settle elsewhere before attaining the age of 60. They rightly believe that settling in new geographical and demographic setting is easier at a younger age. Nowadays, several types of retirement plans are based upon premiums paid rather than age. This allows for earlier retirement. 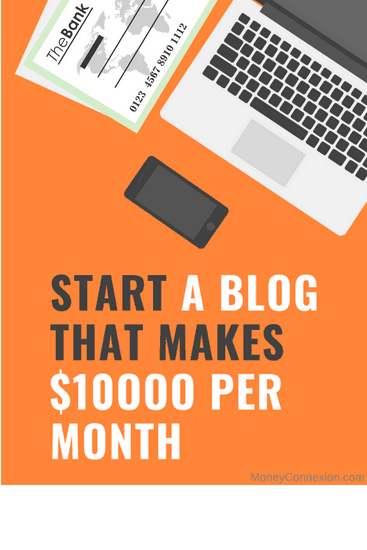 Telecommute jobs, work from home, very high proliferation of the Internet combined with possibilities of launching own start-up tempts some people to retire from office work earlier. Considering you are ready to relocate home and bid adieu to hectic lifestyle of daily commutes and long office hours, you must be looking for best places to retire in the USA. Before retirement, here are some things you can consider. Remember, these points are essential for people of all ages who wish to shift to the retiree or retirement mode. Some cities are best for retirement due to various reasons. Similarly, people can find some best states to retire in the US. Of prime concern to all Americans. Admittedly, healthcare systems in the US rank as the best worldwide. However, availability within the US can be patchy at times. Meaning, some areas of the country are better served over others. Before relocation, ensure that your new town or city has adequate healthcare facilities. Healthcare costs also matter. Hence, you will need to buy a health insurance that covers any medical exigency. Several cities in the US have reasonable healthcare systems that cost lower. By this, we mean your personal economy. Obviously, you will need to shield your finances and lifetime earnings from any vagaries caused by domestic or global economic downturns. Therefore, look for the better place to retire where homes are cheaper and living costs lower. Additionally, you need to be aware of new policies of President Donald Trump intends to introduce for retirement. Obviously, nobody wants to dwell in a place that has shady law and order record. Especially if you are moving there as senior citizen or retiree, you would require a relatively safer place. Therefore, check the latest crime statistics at the Bureau of Justice, Federal Bureau of Investigation and local police websites. Now you definitely need to look for friendly places to retire, regardless of your age. The Gallup-Healthways Community Wellbeing Index shows that 10 cities in the US have the happiest people. Researchers analyzed over 350,000 interviews conducted between 2015 and 2016 for this index. They ranked 189 communities in the US for friendliness and happiness based on their physical, emotional, financial, community and social health. Friendlier, happier places provide ample opportunities for self-growth and development. Again, this depends on personal preferences. For example, you may dream of retiring in a place near woods, with lakes, that is serene and allows ample leisure time. Of course, you deserve to live your dream. However, you also need to consider the four above factors. Hence, you can look for cities or towns or villages that have sufficient local attractions for you. By attractions, we do not imply monuments. Rather, attractions here means, activities of your choice that can engross you for long without imparting boredom. There are several retirement guides available online. 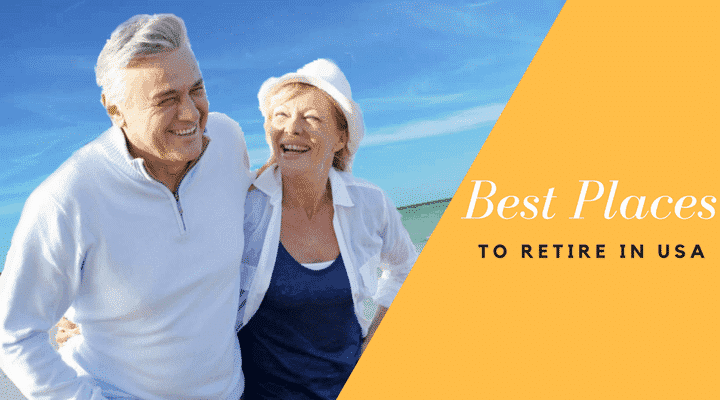 However, you need to read several of these ere finalizing your retirement destination. Furthermore, you also need to check taxation rates in the state you intend to dwell in. High taxation and pensions or social security payments do not mix well. High taxation states can severely mar your finances. Identifying specific cities and towns best for retiring involves Herculean task. Firstly, it would involve a mammoth survey followed by sifting and compiling information from impossibly high volumes of data. Therefore, let us first look at cities that meet the happiness and well-being index. You may consider these for your retirement. NOTE: Our ranking is based on data from the Council for Community and Economic Research (CCER) for cost of living. Crime ranking is based on FBI statistics while community wellbeing is from the above survey of Healthways. Remember, higher the ranking of Cost of Living, more expensive the city or state. Boulder, CO, features among the best places to retire in the US that have the highest community well-being index. The state of Colorado also ranks second on the list of most popular states to retire in the US. A best place to retire in Colorado, because of the excellent landscape of mountains, rivers, forests and desert lands, that feature makes the best places in Colorado. Not only this, Colorado ranks 30 on the Cost of the Living index and has low crime rate at 25. It pegs a great score of six on the community wellbeing chart and healthcare quality stands at 14, which are very impressive figures. Further, Boulder is a great city to live in and one of the best cities to retire in the US. 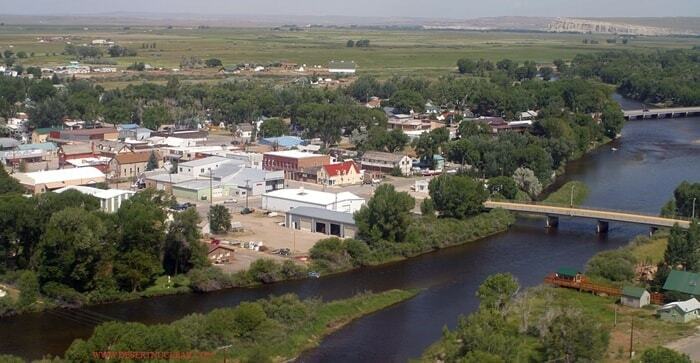 Saratoga, Wyoming, is a town that offers excellent abode for retirees. Saratoga has a relaxed ambience and is very friendly. The cost of living ranking for Wyoming stands at 19 while the crime rate is as low as five. Community wellbeing index stands at 20 and healthcare at 37. Wyoming is a favored destination among retirees since several years. The state continues to retain its position, thanks to its retiree-friendly systems. It is another best place to retire in the USA. You can choose the best place to retire in Provo, Utah if you are an active person. The city features every attraction you would need near your future home. The cost of living in Utah ranks among the lowest, at mere seven. Crime rates are very low at 22 while on the community well-being index, Utah scores a very healthy rank of 19 points. 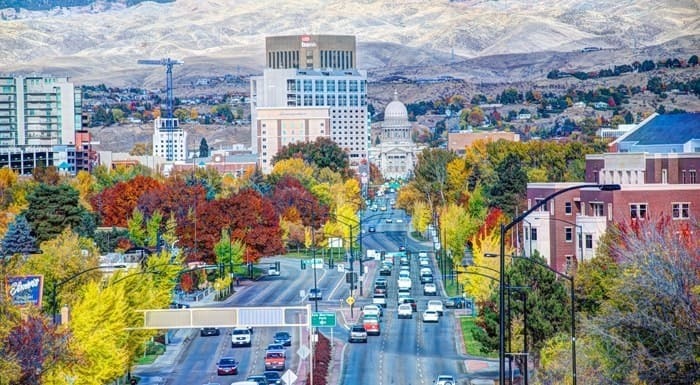 Many describe the city of Boise as a gem of Idaho. Boise is surrounded by mountains and rivers, dotted by lakes. Boise is a great city if you are retiring and have family to accompany you. Cost of Living in Idaho stands at three, crime rate at two and community wellbeing scores a whopping 27 percent. Healthcare quality is pegged at 21 points, which is fairly high. It is one of the amazing best places to retire in the USA. As the name suggests, Virginia Beach is a seaside city in the state. If you are a sun-sea-sand aficionado, Virginia Beach makes an excellent places to retire. Additionally, Virginia also ranks very high on the retirement index. It scores a low 22 on the cost of living index, four on crime index and 15 on community well being. Healthcare quality in Virginia is a healthy 13 points. 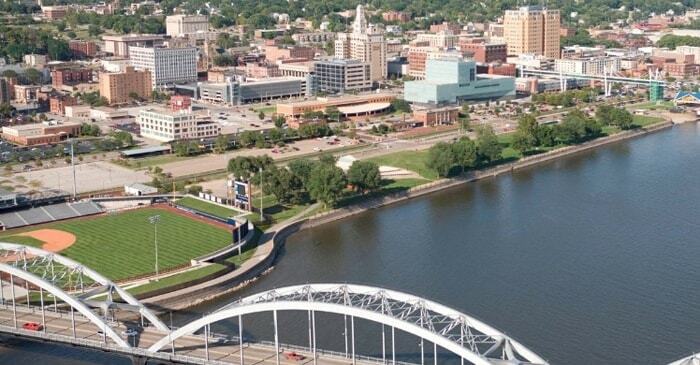 Davenport is a relaxed yet bustling city. The serene suburbs are well served by a bustling downtown. Further, Davenport offers best place to retire of the two worlds- relaxation of rural zones and rush of the city. Iowa is another highly preferred destination among retirees. Cost of Living stands low at 11, crime rate at 12, community wellbeing on four points and five for healthcare quality. 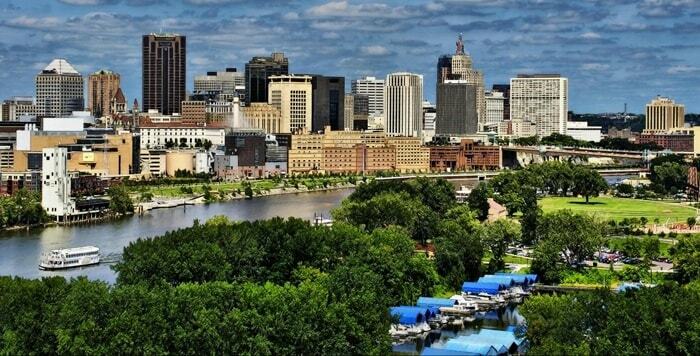 This is best city to retire in USA. For brave hearts and adventure seekers, Billings, Montana has it all. Forests for hunting, mountains to explore and lots of other places of outdoor activities are around Billings. At No-7 as the most favored destination for retirees, Montana has a low cost of living at 27, crime rate at 19. Personal or community wellbeing is very high at eight and health care quality stands at an impressive 24 points. 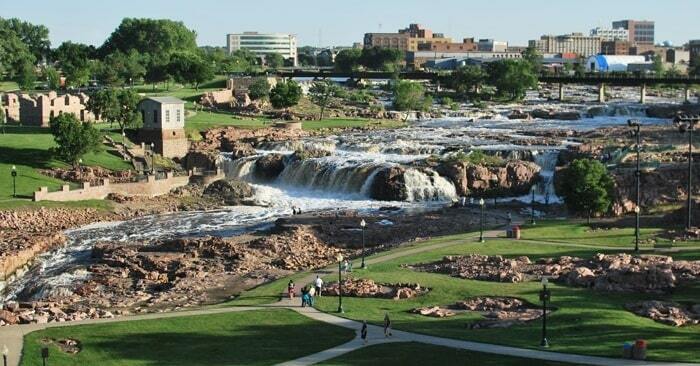 Another best place to retire in USA Sioux Falls, which is a very picturesque city that people of all ages will enjoy. Full of parks, biking lanes, pools, lakes, and greenery Sioux Falls can be called a retiree’s paradise. Furthermore, there are several inherent advantages of living in South Dakota. Data reveals, South Dakota has cost of living at 26 points while crime rate ranks a low, 11 percent. Community wellbeing stands at 31 points and the state gets 15 for the quality of healthcare. The city of Phoenix is known for excellent weather and high-end facilities and amenities. Phoenix is one city where you can retire in peace. It is known as one of the best places to retire in the US. It is a fairly large city and boasts of a very sophisticated infrastructure. People of Phoenix are accustomed to retirees making a home in their city. On the other hand, Arizona also ranks among the top 10 destinations for retirees. It has an impressively low cost of living rate of 32. The crime rate is slightly higher at 41 points but that is not a major concern. Further, the Arizona ranks high for the best place to retire on the community well-being index and has 22 points for healthcare quality. Are you retire person? Are you looking for best places to retire in USA? Very often, Omaha is described as the right city for retirees for its family friendly nature. This is because some traditions from yesteryears prevail in Omaha, especially for families. Further, the state of Nebraska is renowned for its corn farms and dairy products. Cost of living in this state is fairly low at nine points only. The crime rate here too is very low at 20 and community well-being index accords it 16 points for happiness. Nebraska has very high-quality healthcare that ranks 11 on the index. Here are some guidelines to zero in on your future home, post-retirement. Once you have finalized the best state and the best city to retire, you need to take some steps. Visit the city/ town you intend to stay. Get all information verified through Federal and state agencies/ departments. Check ease of access by air, rail, and land. Sometimes, you may need to travel at short notice. Scout the area for online services such as grocers, pharmacy and other suppliers of daily needs. Living in a new city for a few days gives you a firsthand feel of the place. It will help you better plan for retirement. Further, if you intend opening a business, you can get to know great deal about what products or services to offer. These guidelines are aimed at helping you find the best places to retire in USA.